The Romeo y Julieta Belvederes is a very good option for an everyday cigar. •	Affordable, yet with an excellent construction and typical Romeo y Julieta flavors, lots of cedar, floral notes and a good amount of spices. •	Great potential for aging. 3 years on, the cigar really becomes even more complex and also more powerful. The cigar is looking great, rolled using long filler. It is perfectly hand-rolled using only premium tobacco from the famous Vuelta Abajo region in Cuba. The wrapper smells of cedar and hay. 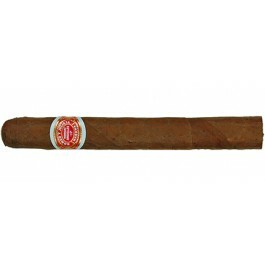 The first third of the cigar is typical Romeo y Julieta. The dominant flavors are of Flavors explored are woodsy and spicy. Lots of peppery flavors, but never overpowering. The first third is very mild, with some sweetness of mocha and some nice floral notes. Overall, a very well balanced and aromatic cigar. In the middle third, the flavor profile is similar to the first third, except with even more cedar and tobacco flavors. There is also some sweetness coming along that almost tastes like a sponge cake. In the middle third, it is a good medium bodied cigar. In the final third, the dominant flavors are still of wood, flower and spices. But in the last section of the cigar, the spices are dominant, but the cigar remains very mild overall, never aggressive, still a medium bodied cigar. In summary, it is a great everyday cigar that is never overwhelming but has great Romeo y Julieta flavors to offer.